Roof performance and proper installation go hand in hand. The only way you can enjoy the benefits of a high performing roof is if a professional installs it properly. As one of the top Federal Way roofing contractors, let us share with you how we ensure proper installation. 1. We have the experience and reputation. For more than 25 years, we have been installing quality residential and commercial roofs in Auburn, Federal Way, and surrounding areas. Every roof that we install are of quality and each of our workers are adept at what they do. We are a member of the Roofing Contractors Association and Western States Roofing Contractors Association. We are also a GAF Master Elite® Certified Contractor, which means we carry the brand and the product’s standards. 2. We train and equip our installation team. Tedrick’s Roofing contractors undergoes regular training. We are well aware of the process –preparing the working area, tearing off the roof and installing roof deck protection, leak barrier, starter strip shingles, proper shingle nailing, and others. We are trained and certified by the country’s leading brand, GAF. Rest assured that our goal is to install your Kent roofing right the first time. 3. We get quality products from top roofing brands in the country. Having worked for more than two decades, Tedrick’s Roofing understands the unique weather of the region. That’s why we choose only the best materials and products when it comes to installing roofs. We have partnered with GAF, Owens Corning, and CertainTeed, three of the most reliable roofing manufacturers in the U.S. Together with these brands, we make homes more beautiful, functional, and efficient. This is how we ensure roof performance. 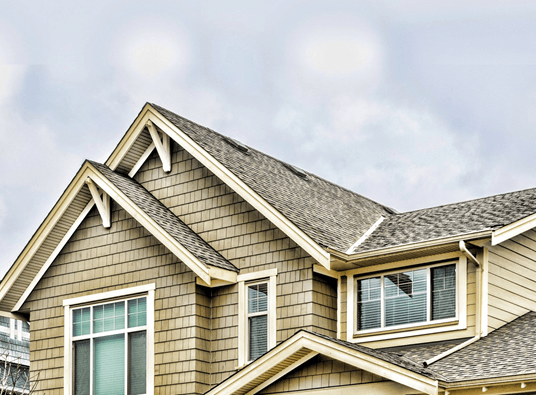 As your local roofing contractor in Federal Way, we’re here to provide particular services that your home needs. We install shingle, slate, metal, flat, and wood shakes for residential. Aside from roof replacement, we also offer services including leak detection, maintenance, cleaning, and repair. We also work on skylights, gutters, solar fans, and more. Just let us know what you need and we’ll be here to help. Call us at (877) 212-9355 to learn more about our products and services.